Balian Beach, Located in west Bali, 90 minutes drive north of Seminyak. 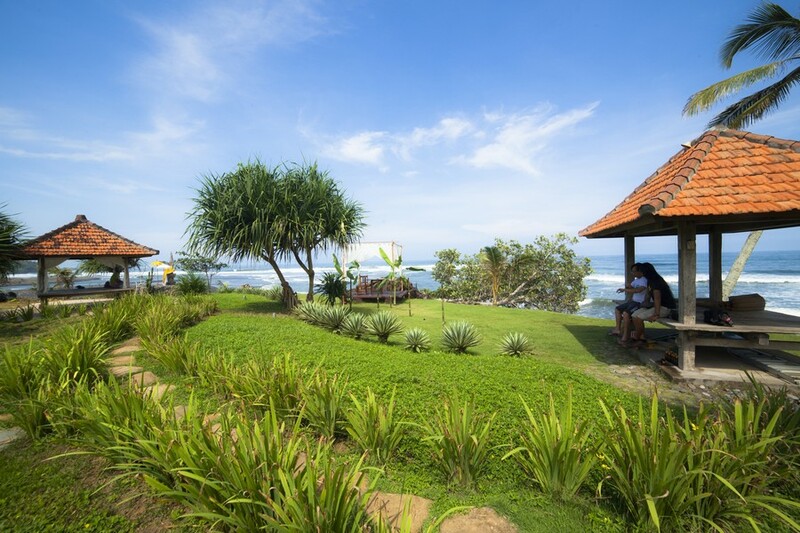 Balian Beach: Pondok Pitaya Surfer Hotel is located on the edge of a natural volcanic black sand beach and beautiful cliff crafted by nature itself. The beach is perfect for long walks and has all year round waves for surfing. Many Yoga groups are starting to looking into Balian Beach as an alternative training spot other than Ubud. 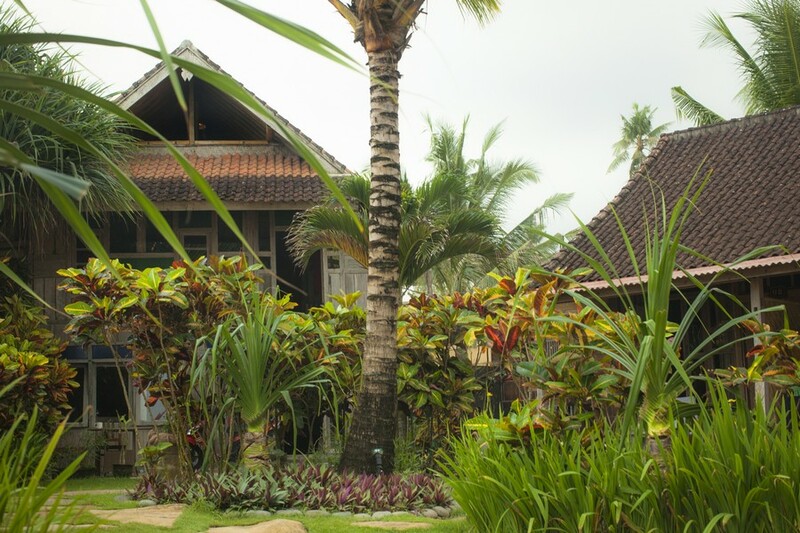 All rooms have been reconstructed from indigenous houses imported from Java, dating back to the 1930’s. Rooms include twin share Surfer Suites and large houses that can sleep up to 8 people. One of the best place in Balian Beach for Surfing and Yoga. Experience a world of limitless adventure and sun-filled days in Balian beach, where you can live out your dream of being a surfer or enjoy a family holiday with few rounds of ice cold Bintang beers. Sample the freshest Indonesian and Western cuisine. 45 min from the Tabanan Mountain area for a coffee plantation hike and fresh brewed Balinese Coffee. Or slip into a waking dream with clear sky, millions of stars blinking at night and accompanied by tropical sea breeze. Some say Pondok Pitaya is a hotel, but some say its home.